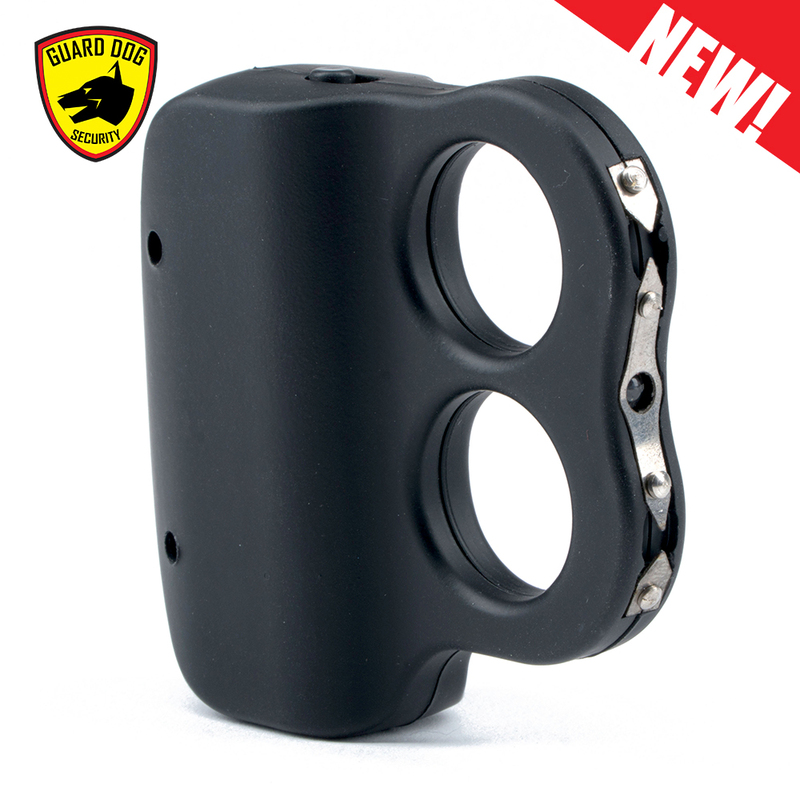 Power up your natural defense stance with this uniquely designed stun gun. 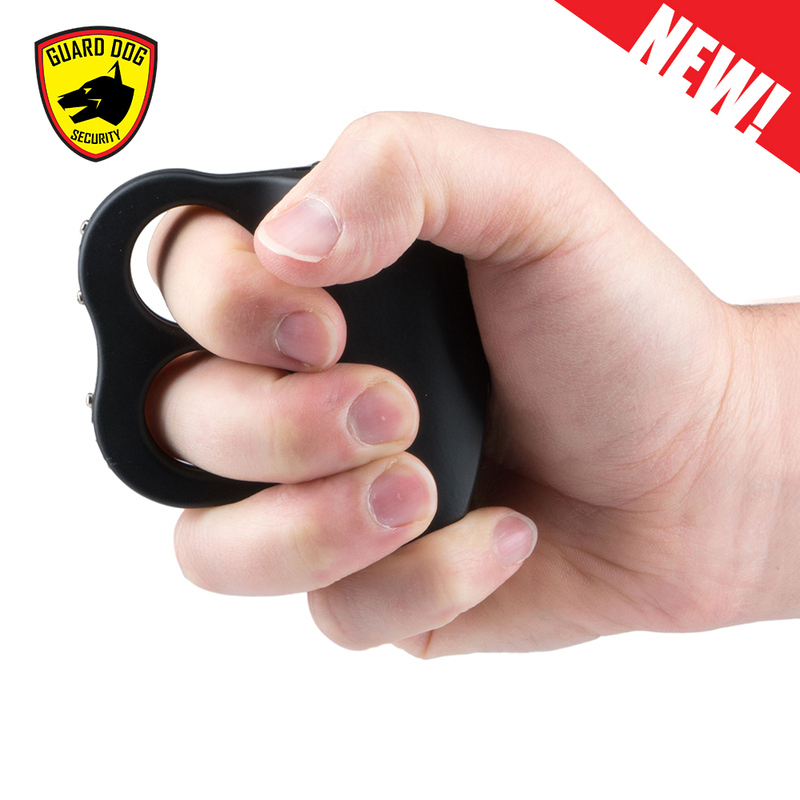 The I Do Two ring self-defense tool is optimally contoured to fit the fingers and provide a power-packed punch to the user in an instant. 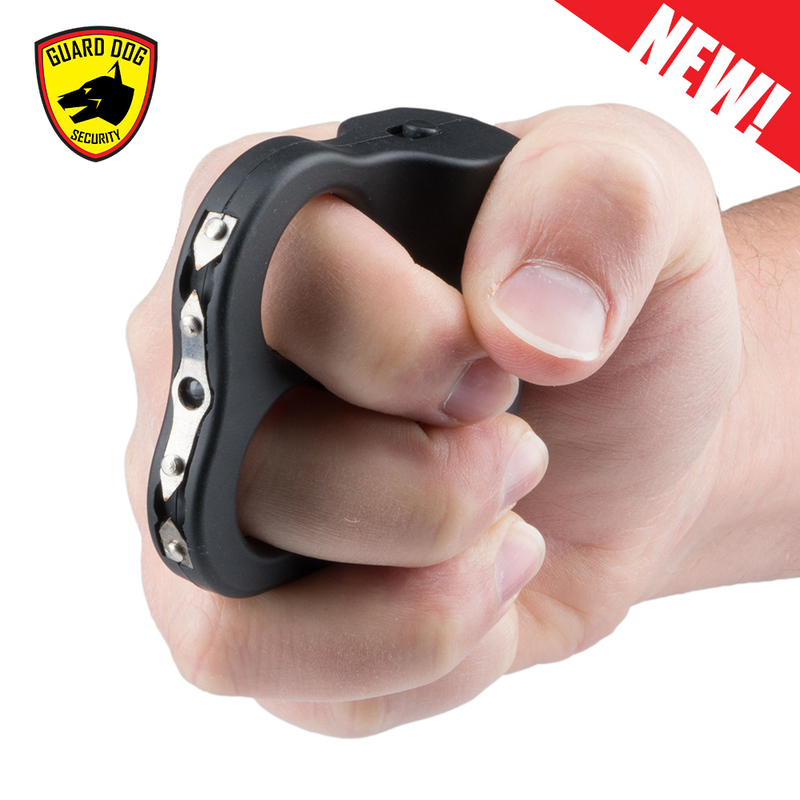 Curl your fist around the power of the double-spark, and land two times the high voltage blow to any potential attacker. 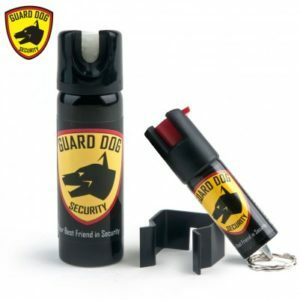 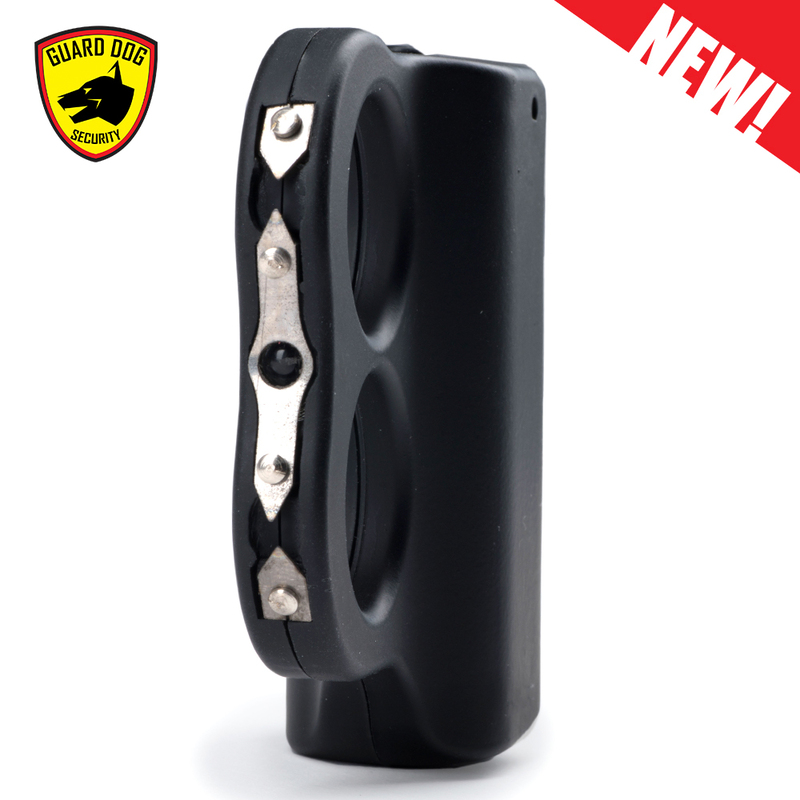 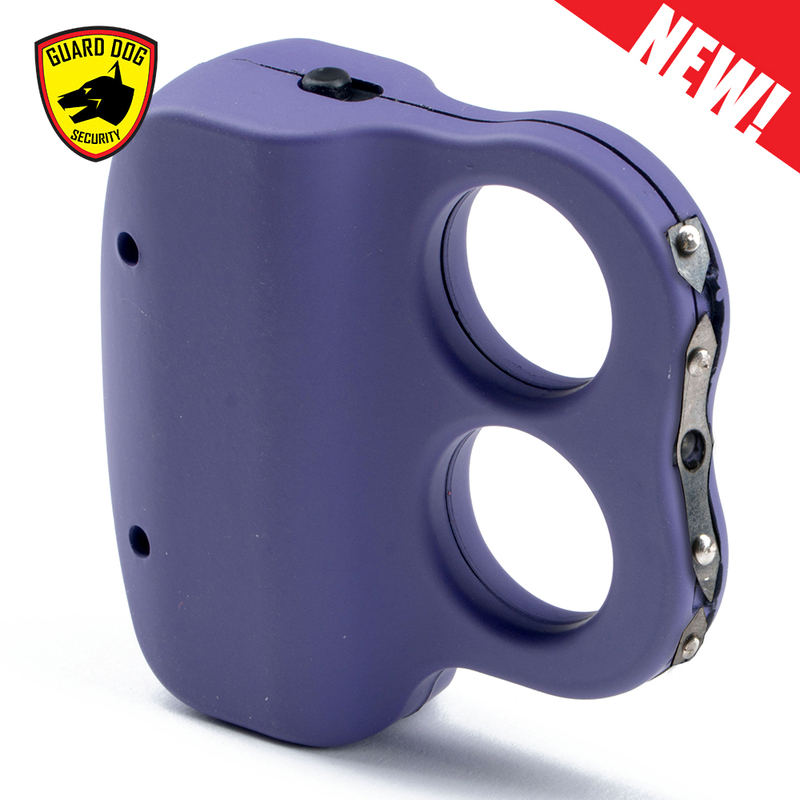 Curl your fist around the power and precision-designed convenience of the I Do Two ring stun gun by Guard Dog Security. 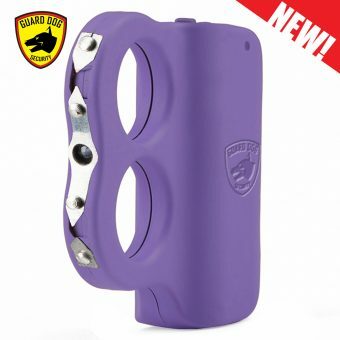 Optimally contoured to fit your fingers, this uniquely designed self-defense stun gun takes advantage of our natural defense stance to allow for a power-packed punch. 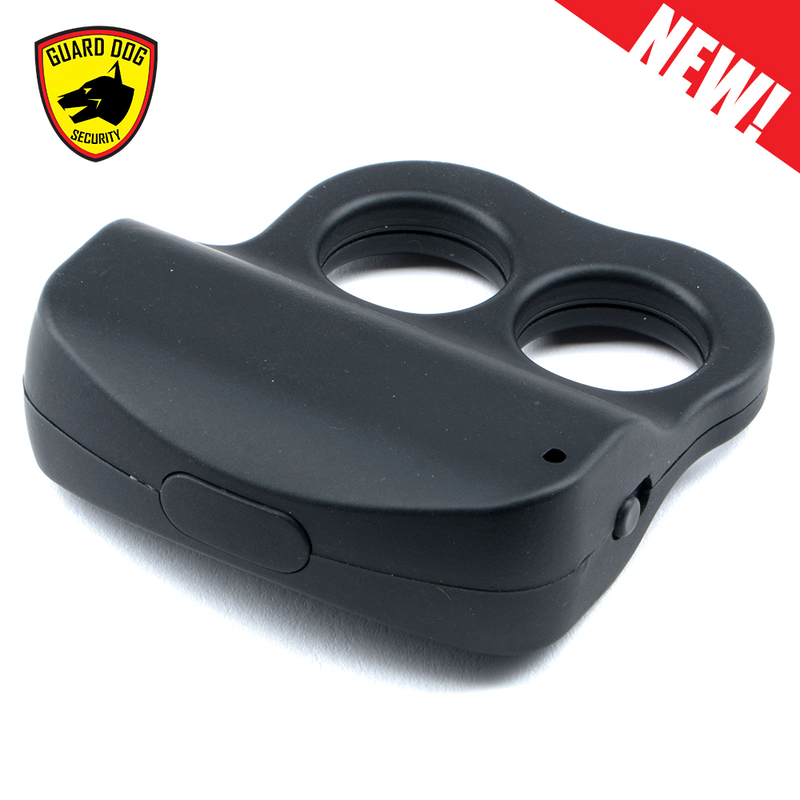 The double-spark, self-defense ring lands two times the high voltage blow to any potential attacker in a rubberized ergonomic form designed for comfort. 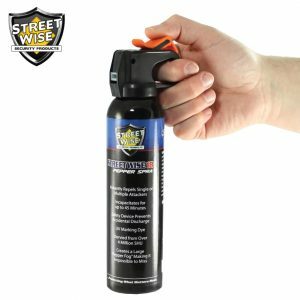 Comprehensively engineered grip-to-stun technology activates the instant you grip the self-protection weapon, with child lock and safety switch to prevent accidental discharge. 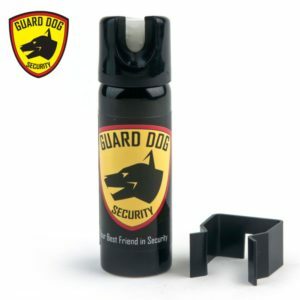 Well suited for daily use, this nonlethal weapon design is non-abrasive when running, jogging or casual and daily carry. 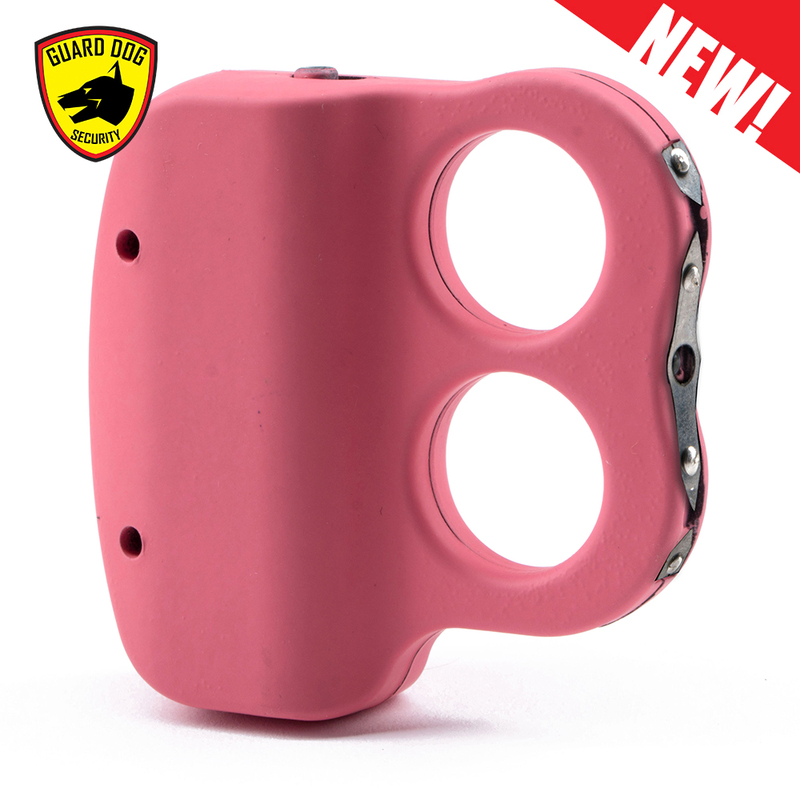 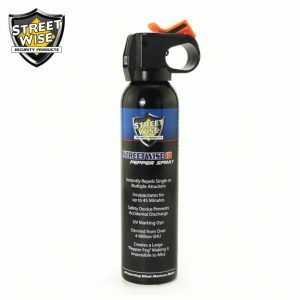 Easy to hold and conceal, I Do Two is a must-have self-defense accessory for men and women in three bold colors, each weighing less than three ounces. 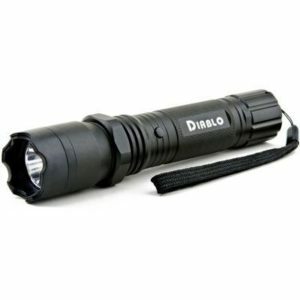 The built-in LED flashlight provides great visibility as well as protection in the event of assailant confrontation. 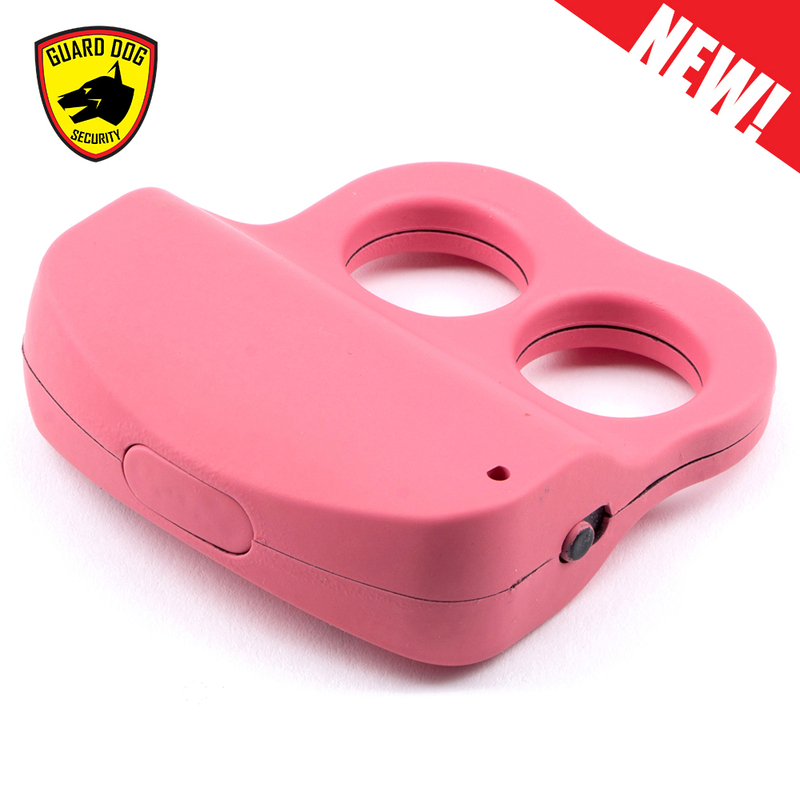 The next time you are presented with a threatening situation, ensure protection with the compact, convenient I Do Two dual ring stun gun.